Paddle through majestic fjords below towering mountains as you spot seals, whales, and birds along the way. Here are a few kayaking options ranging from a couple hours up to a full week of exploring at your own speed. Ísafjörður (Isafjordur) has a lot to offer visitors to the Westfjords. 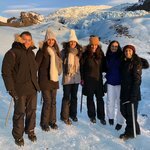 Experience the dramatic scenery from sea level where the mountains rise out from the fjords. 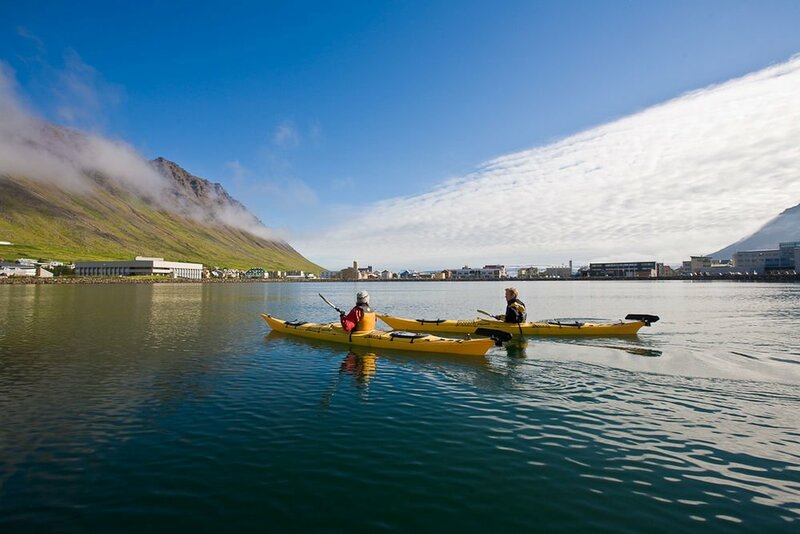 In Ísafjörður you can join a variety of kayaking adventures, everything from a calm paddle around the fjord for a few hours up to week long adventures, and everything in between. Below you'll find a few ideas to wet your appetite. Paddle around the shores of Isafjordur as you gaze up at the towering mountains and keep your eyes open for birds and seals. You can join this trip all year, as the protected fjords have relatively calm waters. Paddle northwest along the coast past the mountain of Óshlíð towards the town of Bolungarvík (or the reverse depending on the wind). Stop along the beach and see some old fishing huts while you enjoy the scenery. You only need to paddle one direction and take a car back to the start. Leave the gentle waters of Isafjordur and paddle around the coast from Seyðisfjörður to Hestfjörður where you are likely to spot seals, whales, and white-tailed eagles. Paddle one way along the coast and get picked up when you’re done to maximize your time exploring the coast. Paddle away from the coast to the island of Vigur which offers some of the best bird-watching in Iceland, including puffins. You are also likely to see seals and whales on your way to the island. As you get further from the coast you will have a better perspective looking back at the mainland fjords and mountains. With more time you can take a boat across ísafjarðardjúp to the Hornstrandir Nature Preserve, only accessible by boat and by foot. You have several trips to choose between, from 3-6 days, spending some nights in huts and some nights camping if you like. With more time you can explore all the hidden gems of Hornstrandir, past hidden waterfalls, and through arched rocks. With more time you can soak in the geothermal pools after a long day, or you may see the arctic foxes that inhabit the area. Take the boat or kayak back past Vigur island to see the famous birdlife, including puffins and eider ducks.